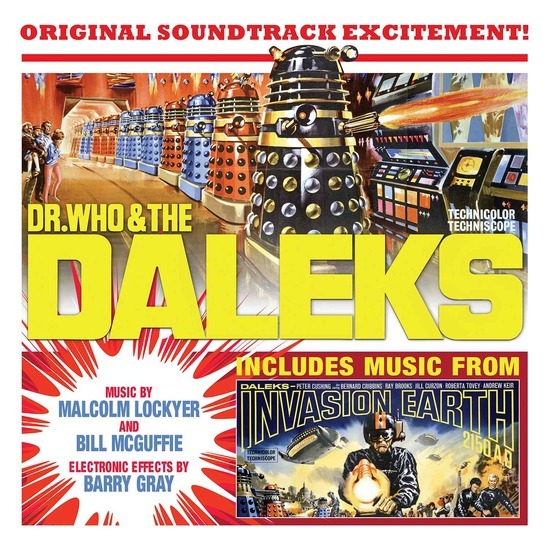 Never before released on vinyl, are these two lovingly restored soundtracks to the only big screen Doctor Who films ever made – the 1965 release DR. WHO AND THE DALEKS and 1966 DALEKS: INVASION EARTH 2150 A.D. 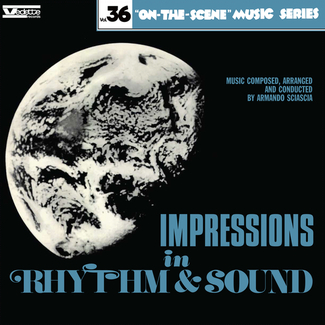 The music was composed by Malcom Lockyer (DR. WHO AND THE DALEKS) and Bill McGuffie (DALEKS: INVASION EARTH 2150 A.D.) with sections enhanced by electronic sounds created by Barry Gray, famed for his work with Gerry Anderson. 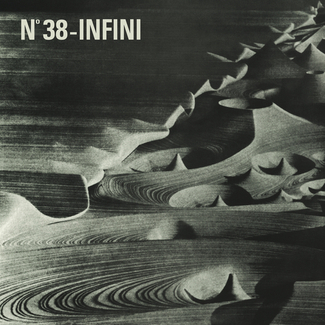 The album also includes contemporary single releases and a gatefold sleeve featuring memorabilia, including the original poster artwork and detailed production notes. Smash and Grab – Daleks: Invasion Earth 2150 A.D.
TARDIS Departs – Daleks: Invasion Earth 2150 A.D. Opening Titles – Daleks: Invasion Earth 2150 A.D.
TARDIS – Daleks: Invasion Earth 2150 A.D. Message to Grandfather and the Dalek Saucer Takes Off – Daleks: Invasion Earth 2150 A.D. The Mine Workings and the Cottage – Daleks: Invasion Earth 2150 A.D. Preparing the Bomb Capsule – Daleks: Invasion Earth 2150 A.D., 31. Smash and Grab (Reprise) and End Titles – Daleks: Invasion Earth 2150 A.D.